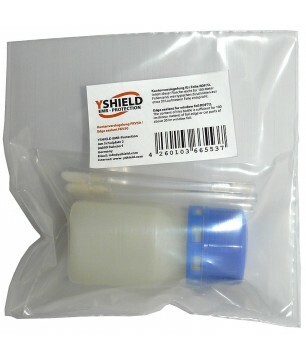 Edge Sealant for Window Film - 50 ml Strictly required edge sealing for our window film RDF72. Conductive Dispersion Glue DKL90 - 5 liter Electrically conductive dispersion glue for binding our sheet materials to the walls, ceilings, floors, doors, etc. EMF Shielding Netting HNG80 - Width 130 cm - 1 Meter Metalized polyester netting, 80 dB attenuation. 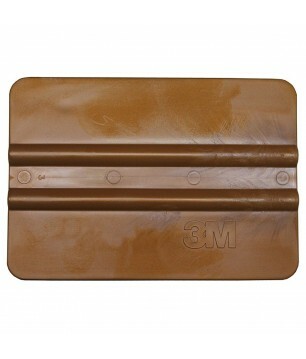 For easy bonding on walls, ceilings and floors, universal interior usage. Electromagnetic Radiation (EMR) Shielding Netting HNG80 - Width 66 cm - 1 Linear Meter HNG80 is a compact woven, metallized polyester netting for the protection against high frequency radiation and low frequency electric fields. High Frequency and Low Frequency Field Shielding Paint HSF54 / 1 Liter Electrically conductive primer coating for shielding of high-frequency radiation (HF) and low-frequency electric fields (LF). Based on a high quality pure acrylic binder. High Frequency and Low Frequency Field Shielding Paint HSF54 / 5 Liter Electrically conductive primer coating for shielding of high-frequency radiation (HF) and low-frequency electric field (LF). Based on a high quality pure acrylic binder. 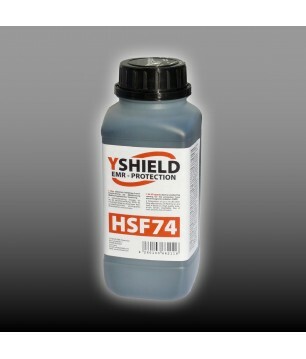 High Frequency and Low Frequency Field Shielding Paint HSF74 / 1 Liter Electrically conductive primer coating for shielding of high-frequency radiation (HF) and low-frequency electric field (LF). Pure silicate paint based on potassium silicate. 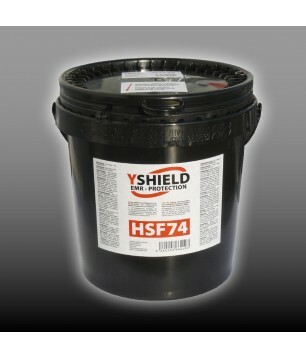 High Frequency and Low Frequency Field Shielding Paint HSF74 / 5 Liter Electrically conductive primer coating for shielding of high-frequency radiation (HF) and low-frequency electric field (LF). Pure silicate paint based on potassium silicate. Electromagnetic Radiation Shielding Window Film - Width 152 cm - 1 Meter Attenuation 30 dB, 72 % light transmission. 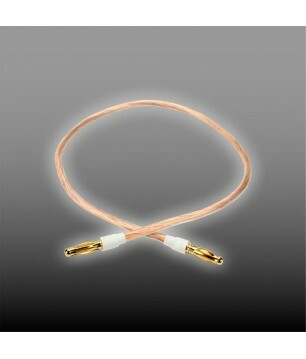 Premium-film consisting of 12 metal layers for highest demands. 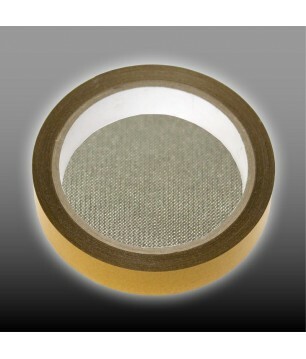 EMF Shielding Window Film - Width 76 cm - 1 Meter Attenuation 30 dB, 72 % light transmission. 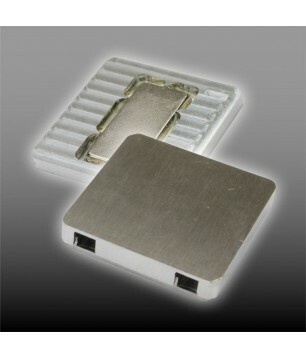 Premium-film consisting of 12 metal layers for highest demands. Grounding Plate for Fabrics, Canopies, Nettings, Fleeces The both plates are bound together from two strong magnets. 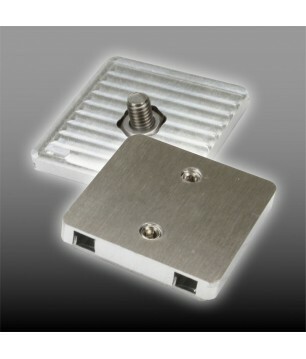 Grounding Plate for Fabrics, Canopies, Nettings, Fleeces The both plates are screwed together. 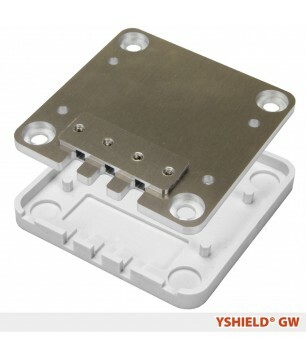 Grounding plate for shielding paints, nettings, fleeces Quadratic design for mounting next to an electrical outlet. For interior use. 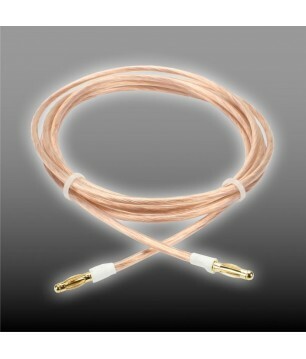 Stainless Steel Grounding Rod 50 cm In many countries without the network types TT or TNS, or when you don’t have a "clean" earth, a ground connection within a house is hardly possible. As a solution, this rod is hammered in the ground outside a house. 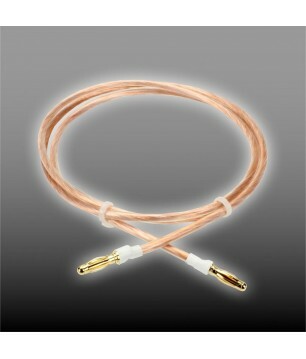 Self-adhesive grounding strap under and on nettings, fleeces to connect the limited width of materials. On Basis of our fleece HNV80. 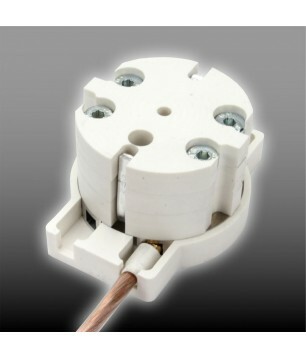 10 linear meters, 2 cm width, 0.1 mm thick. Self-adhesive grounding strap under shielding paints to bridge cracks in the underground. On basis of our netting HNG80. 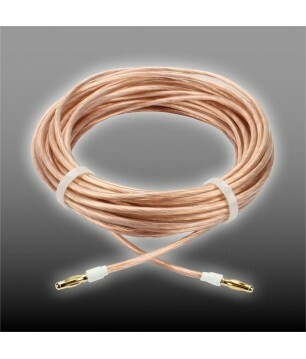 10 linear meters, 2 cm width, 0.2 mm thick. Electromagnetic Radiation (EMR, EMF) Shielding Fabric BLACK TRICOT Two-ply fabric from Silver Tricot combined with black cotton. 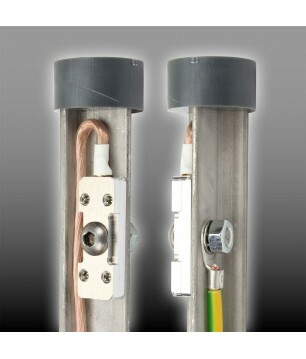 Attenuation 47 dB. 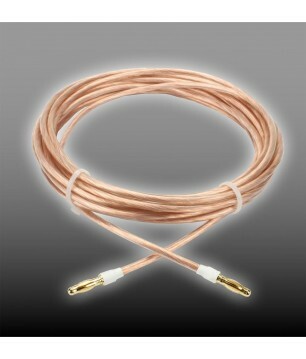 Can be earthed. 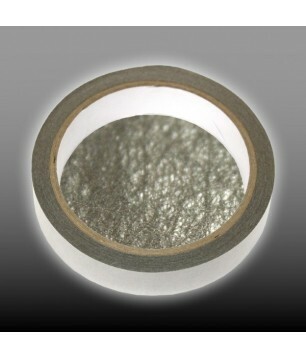 EMF Shielding Fabric SILVER ELASTIC Silver Elastic is a compact, full silvered spandex fabric for HF+LF shielding. Typical application to sew articles of clothing. Due to the high elasticity perfect as close-fitting laundry. Actually our best apparel fabric. Low Frequency Electric Field Shielding Paint NSF34 / 1 Liter Electrically conductive primer coating for shielding of low-frequency electric field (LF). Based on a high quality pure acrylic binder. Low Frequency Electric Field Shielding Paint NSF34 / 5 Liter Electrically conductive primer coating for shielding of low-frequency electric field (LF). Based on a high quality pure acrylic binder. 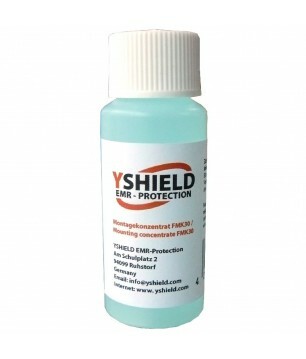 Mounting Concentrate MK30 for Window Film - 30 ml Mounting concentrate for wet bonding. 30 ml for 0.5 liter water for 3 linear meters of film. Plastic Scraper FVR10 for Mounting Window Film Plastic scraper 10 cm for a bubble-free bonding of window films on glass surfaces. HF and LF Shielding Fabric SILVER-TWIN / Width 150 cm / 1 Linear Meter Silver Twin is a compact cotton/silver fabric for the protection against high-frequency radiation. Typical application as curtain, to sew clothes, handy bags, etc. HF and LF Shielding Fabric STEEL-TWIN / Width 150 cm / 1 Linear Meter STEEL-TWIN is a compact Cotton/Stainless Steel fabric for the protection against high-frequency (HF) radiation. Typical application as curtain.